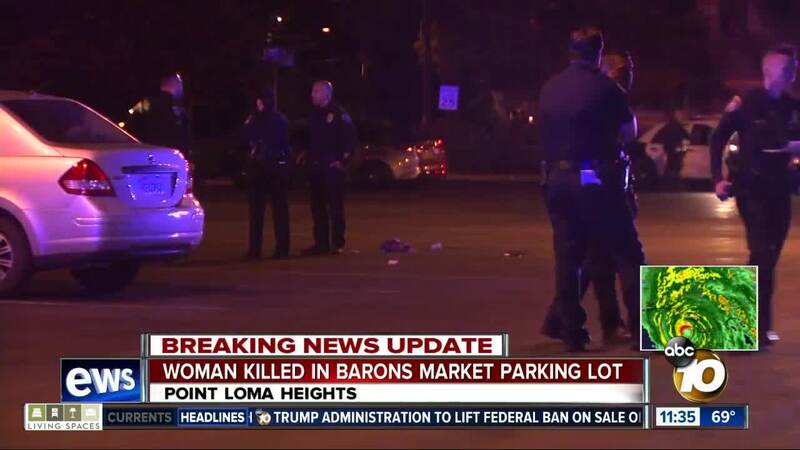 10News spoke to several people who heard the shooting in a parking lot near Barons Market. 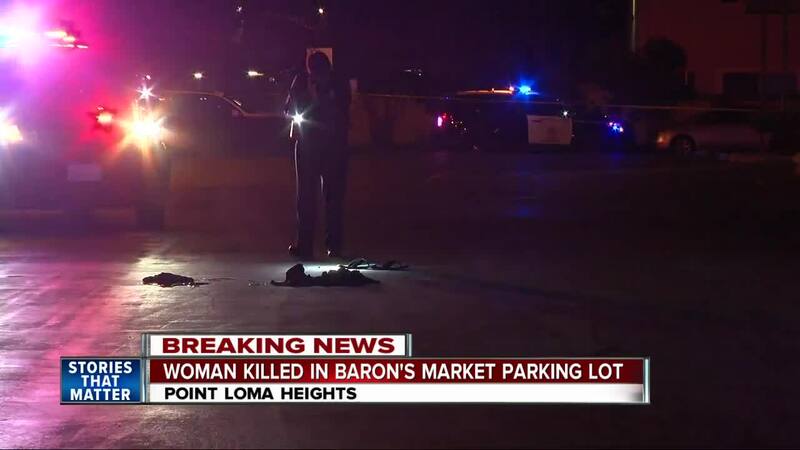 SAN DIEGO (KGTV) - Police are investigating a shooting at a Point Loma Heights strip mall that left a woman dead. The shooting happened at around 11:45 p.m. Tuesday in the West Point Loma Shopping Center in the 4000 block of W. Point Loma Boulevard, San Diego police said. Police, citing witnesses, said a man and woman were inside a Domino’s Pizza store, near the Baron’s Market, for a short period then went outside to talk for several minutes in the parking lot. Witnesses told police they then heard yelling and a single gunshot. The witnesses saw a woman on the ground and a black sedan driving away on W. Point Loma Blvd. The woman, identified as black and 30 years old, suffered a gunshot wound to her upper body and was taken to UC San Diego Medical Center, but she died from her injuries, police said. The suspected shooter is described as a black man, about 35-40 years old, wearing dark clothing. A detailed description of the vehicle was not immediately available. Police said they are still looking into the relationship between the victim and the shooter. 10News learned police will be examining surveillance video captured from the Domino’s store and other businesses. The strip mall parking lot was shut down due to the investigation.